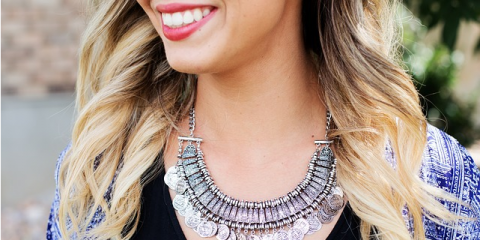 When it comes to getting a bright, white, and luminous smile, there are a variety of options and products. However, GLO Science PRO is revolutionizing the way people whiten their teeth and is being adopted by dental offices across the country. Buhite & Buhite, DDS, located in Rochester, NY, provides a wide array of cosmetic dentistry services, including restorative dentistry, implants, teeth whitening, dental crowns, and orthodontics. Fast, Easy Treatments: The GLO Science PRO system takes around thirty minutes, utilizing a mouth guard, which warms up. The specialized brush ensures the whitening gel is only applied to the teeth. This reduces the amount of gum sensitivity and the heat results in quick treatments. After the initial treatment, you'll take home the GLO Science PRO device, so you can continue using it at home. Anti-Aging: Teeth whitening can assist in making you look up to 10 years younger since your teeth gray and yellow as you age. Opting for a treatment such as GLO will ensure your pearly whites aren't making you look older. Oral Care: Teeth whitening is often a motivating factor for brushing and maintaining good oral health. Dedicating the time with GLO will give you a greater appreciation for your teeth, making you want to brush and floss. If you're looking for a method of teeth whitening that'll give you results, ask your dentist about GLO Science PRO. 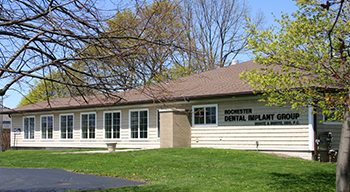 If you're located in Rochester, visit the friendly dental professionals at Buhite & Buhite DDS. They can get you started with the GLO system, provide dental bridges, implants, crowns, and dentures. More information about the services offered can be found online or by calling (585) 342-1323.